Don’t waste your marketing efforts on out-dated & inaccurate data. Add addresses to your customer & prospect databases and enhance your Email List to accelerate your marketing campaigns. DatabaseUSA.com® Append Services keeps you in touch with direct mail subscribers to make sure you have the most accurate data & your money is being well spent. Enable multi-channel marketing, increase revenues with greater digital reach, improve customer service & retention, and reduce your marketing costs. Learn more about DatabaseUSA.com® Email List Cleansing & Hygiene. Match names and addresses to 35-50% of your customer Email List. With Reverse Email Append, you’ll be able to segment your email customers by location and market to them via direct mail. Target and reach customers with personalized messages when you have a name, age, income, home value, and lifestyle information. Find alternate points of contact, including postal and social media, and reach the right people with the help of DatabaseUSA.com® Email Append & Enhancement Services. With email serving as one of today’s most cost-effective marketing tools, it’s vital for your business to have addresses for your customers. While you may have a strong customer file of names, addresses and phone numbers, you could be missing addresses. When that’s the case, DatabaseUSA.com® can help. Our expert team takes your current customers’ information and locates their addresses, giving you an efficient, fast and economical way to communicate with them. 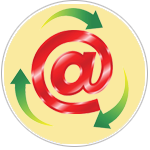 Complete the form or call us at 877.407.0101 for more information on Email Append & Reverse Email Append Services.